FIND OUT HOW WE CAN HELP YOU TO ACHIEVE THE RESULTS YOU ARE AFTER. BACKGROUND: A low fermentable oligosaccharides, disaccharides, monosaccharides and polyols (FODMAP) diet is effective in treating irritable bowel syndrome (IBS). AIM:To compare the effects of gut-directed hypnotherapy to the low FODMAP diet on gastrointestinal symptoms and psychological indices, and assess additive effects. METHODS:Irritable bowel syndrome patients were randomised (computer-generated list), to receive hypnotherapy, diet or a combination. Primary end-point: change in overall gastrointestinal symptoms across the three groups from baseline to week 6. Secondary end-points: changes in psychological indices, and the durability of effects over 6 months. RESULTS: Of 74 participants, 25 received hypnotherapy, 24 diet and 25 combination. There were no demographic differences at baseline across groups. Improvements in overall symptoms were observed from baseline to week 6 for hypnotherapy [mean difference (95% CI): -33 (-41 to -25)], diet [-30 (-42 to -19)] and combination [-36 (-45 to -27)] with no difference across groups (P = 0.67). This represented ≥20 mm improvement on visual analogue scale in 72%, 71% and 72%, respectively. This improvement relative to baseline symptoms was maintained 6 months post-treatment in 74%, 82% and 54%. Individual gastrointestinal symptoms similarly improved. Hypnotherapy resulted in superior improvements on psychological indices with mean change from baseline to 6 months in State Trait Personality Inventory trait anxiety of -4(95% CI -6 to -2) P < 0.0001; -1(-3 to 0.3) P = ns; and 0.3(-2 to 2) P = ns, and in trait depression of -3(-5 to -0.7) P = 0.011; -0.8(-2 to 0.2) P = ns; and 0.6(-2 to 3) P = ns, respectively. Groups improved similarly for QOL (all p ≤ 0.001). CONCLUSIONS: Durable effects of gut-directed hypnotherapy are similar to those of the low FODMAP diet for relief of gastrointestinal symptoms. Hypnotherapy has superior efficacy to the diet on psychological indices. No additive effects were observed. Peters SL, Muir JG, Gibson PR. (2015) 'Review article: gut-directed hypnotherapy in the management of irritable bowel syndrome and inflammatory bowel disease', Alimentary Pharmacology & Therapeutics, 41(11):1104-15. BACKGROUND: Gut-directed hypnotherapy is being increasingly applied to patients with irritable bowel syndrome (IBS) and to a lesser extent, inflammatory bowel disease (IBD). 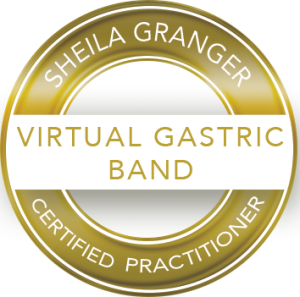 AIM: To review the technique, mechanisms of action and evidence for efficacy, and to identify gaps in the understanding of gut-directed hypnotherapy as a treatment for IBS and IBD. METHODS: A review of published literature and a systematic review of clinical trials in its application to patients with IBS and IBD were performed. RESULTS: Gut-directed hypnotherapy is a clearly described technique. Its potential mechanisms of action on the brain-gut axis are multiple with evidence spanning psychological effects through to physiological gastrointestinal modifications. Six of seven randomised IBS studies reported a significant reduction (all P < 0.05) in overall gastrointestinal symptoms following treatment usually compared to supportive therapy only. Response rates amongst those who received gut-directed hypnotherapy ranged between 24% and 73%. Efficacy was maintained long-term in four of five studies. A therapeutic effect was also observed in the maintenance of clinical remission in patients with ulcerative colitis. Uncontrolled trials supported the efficacy and durability of gut-directed hypnotherapy in IBS. Gaps in understanding included to whom and when it should be applied, the paucity of adequately trained hypnotherapists, and the difficulties in designing well controlled-trials. CONCLUSIONS: Gut-directed hypnotherapy has durable efficacy in patients with IBS and possibly ulcerative colitis. Whether it sits in the therapeutic arsenal as a primary and/or adjunctive therapy cannot be ascertained on the current evidence base. Further research into efficacy, mechanisms of action and predictors of response is required. OBJECTIVE: Gut-directed hypnotherapy is considered to be an effective treatment in irritable bowel syndrome (IBS) but few studies report the long-term effects. This retrospective study aims to evaluate the long-term perceived efficacy of gut-directed hypnotherapy given outside highly specialized hypnotherapy centers. METHODS: 208 patients, who all had received gut-directed hypnotherapy, were retrospectively evaluated. The Subjective Assessment Questionnaire (SAQ) was used to measure changes in IBS symptoms, and patients were classified as responders and non-responders. Patients were also asked to report changes in health-care seeking, use of drugs for IBS symptoms, use of alternative non-pharmacological treatments, and if they still actively used hypnotherapy. RESULTS: Immediately after hypnotherapy, 103 of 208 patients (49%) were responders and 75 of these (73%) had improved further at the follow-up 2-7 years after hypnotherapy (mean 4 years). A majority of the responders still used hypnotherapy on a regular basis at follow-up (73%), and the responders reported a greater reduction in health-care seeking than non-responders. A total of 87% of all patients reported that they considered gut-directed hypnotherapy to be worthwhile, and this differed between responders and non-responders (100% vs. 74%; p < 0.0001). CONCLUSION: This long-term follow-up study indicates that gut-directed hypnotherapy in refractory IBS is an effective treatment option with long-lasting effects, also when given outside highly specialized hypnotherapy centers. Apart from the clinical benefits, the reduction in health-care utilization has the potential to reduce the health-care costs. AIM:To review the effect of hypnotherapy in a large cohort of refractory IBS patients. METHODS:One thousand IBS patients fulfilling Rome II criteria, mean age 51.6 years (range 17-91 years), 80% female, receiving 12 sessions of hypnotherapy over 3 months, were studied. The primary outcome was a 50 point reduction in the IBS Symptom Severity Score. The fall in scores for Noncolonic Symptoms, Quality of Life and Anxiety or Depression, were secondary outcomes. The Federal Drug Administration's recommended outcome of a 30% or more reduction in abdominal pain was also recorded. RESULTS:Overall, 76% met the primary outcome which was higher in females (females: 80%, males: 62%, P < 0.001) and those with anxiety (anxious: 79%, non-anxious: 71%, P = 0.010). The mean reduction in other scores was: IBS Symptom Severity Score, 129 points (P < 0.001), Noncolonic Symptom Score, 65 (P < 0.001) and Quality of Life Score, 66 (P < 0.001). Sixty-seven per cent reported a 30% or more reduction in abdominal pain scores. Pain days fell from 18 to 9 per month. Patients with anxiety and depression fell from 63% to 34% and 25% to 12% respectively (P < 0.001). Outcome was unaffected by bowel habit subtype. CONCLUSION:These results provide further evidence that gut-focused hypnotherapy is an effective intervention for refractory IBS.